I suppose it's because I am finishing marching season and I have to go through all the photos I've taken this year, that I am thinking so much about photo apps. Or maybe it's just because Pixelmator is such a game changer of an app. Pixelmator is a brand new app that we first saw in a demo the day that the iPhone6 was introduced. If you have ever wanted to edit those pics you have taken but the edit options in Apple Photos just are not enough for you then it's time to move up! 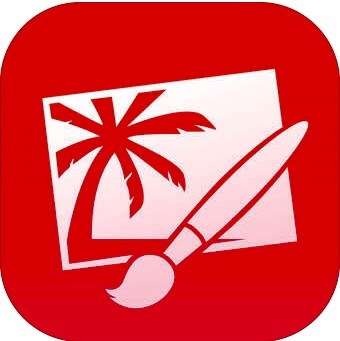 Of course maybe if you had an app like Pixelmator, you would find new and exciting ways to manipulate your photos to bring your teaching materials to life? Filters, effects, adding text, shadows, being able to adjust color, light balance, or drastically improve less then perfect pics with a few taps…. All of this is what Pixelmator is about. I love the heal tool…. You really have to experience this to believe it. Have an extra person in your pic that you don't want? Brush over them and wa-la, they are gone, replaced by a magic background of what would have been there if they weren't. This is one more of those apps that has a desktop version to match. The best part is that the iPad version was developed specifically for iPad, not simply adapted to it. This means that everything is optimized for touch. It also means that through iCloud, your pics and their edits can be found both on your iPad as well as your Mac! Of course since you are going to want to share those amazing pics you have edited with parent of your students, sharing has to be easy. Pixelmator has Twitter, Flickr, and Facebook all covered.